I just had my second lash extensions today at Ooh La Lash in Glorietta 3. I was not blessed with long lashes and I admit I envy girls with thick, curly, and long lashes. I tried using mascara but I never got the desired effect. 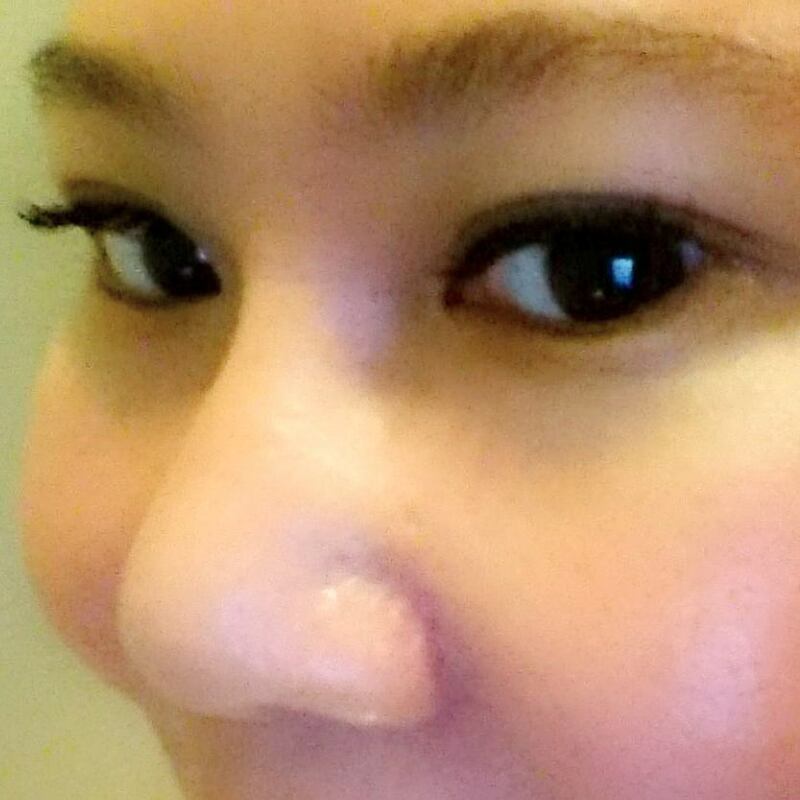 Until I was introduced to Ooh La Lash October last year during a bloggers' event. Are you having second thoughts on trying lash extensions? Here are what you need to know. There are three different types of lash extensions: silk, synthetic, and mink. Ooh La Lash offers safe, natural-looking lashes and the glue they use is FDA approved. So no need to worry about safety. You will be asked to choose your desired curl, length and thickness. The length and curl ranges from 9mm to 12mm. The thickness options are: Light and Natural 30-50 lashes, Classic 51-85 lashes, Diva 86-130 lashes, and Vixen unlimited lashes. My October 2016 lash extensions was Classic 10 mm while my latest is Classic 9 mm. If it's your first time, be prepared to spare at least an hour to get your lashes done. Diva and Vixen will definitely take longer. Make sure you are not wearing contact lens. You are not allowed to open your eyes during the procedure to avoid the glue getting into your eyes. It could be painful. 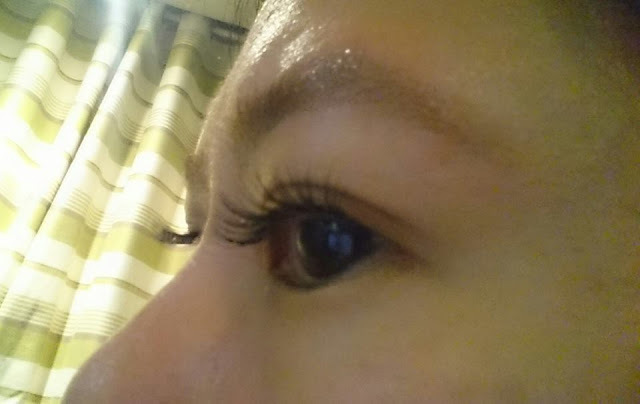 The beauty technician at Ooh La Lash are well-trained and I am very satisfied on both visits. If you take good care of your lashes it can last for 3-4 weeks. You can have a lash refill after 2-3 weeks. It is also advisable to have the extensions removed in the salon instead of doing it on your own. I paid PhP 890 for my lash extensions. Some people may find it a bit expensive but the time and money I save from buying and using mascara (minus the hassle) so worth it. Here's the good news. 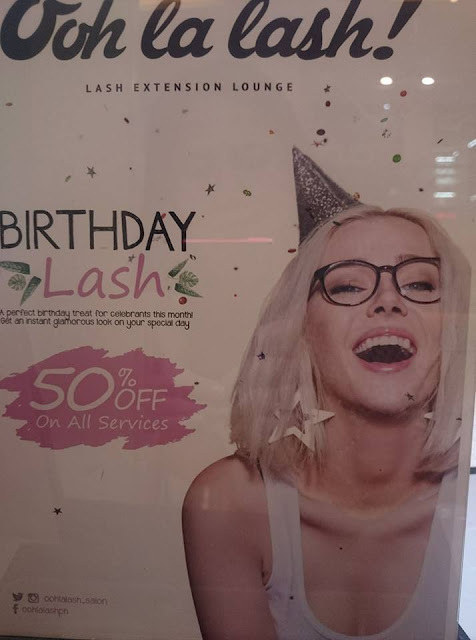 I saw this Birthday Lash poster. They are offering 50% off on all services for this month's celebrants. They say castor oil helps. Have you tried it too?